Your customers should be your greatest obsession. Today, you need to understand what is going on behind your customer’s doors. You need to employ customer engagement solutions that let you know how your product is being consumed on a day-to-day basis. To get that level of detail, you need to become obsessive about your customers and fanatical about gathering and analyzing data on their product engagement. You need to adopt a company-wide strategy and prioritize your customer approach based on actual customer data in order to reduce churn and capitalize on upsell opportunities. The word “obsession” represents the new standard in customer success best practices. Every piece of data you collect on your customers tells you something about where they are on their customer journey. Put simply, customer obsession is a way to center and align your business around your customers. Once you understand your customer’s precise stage within their customer journey, you can explore new ways of engagement and boost your lifetime customer value. Shareable, centralized data resources should be accessible by all so they can inform every customer interaction. It’s one thing to gather customer data; it’s another to present it in an accessible, visual format. There are software solutions that go beyond the traditional CRM and help you organize your customer data into a modular, hierarchical, real-time snapshot of where every customer lies within their journey. You can make this information shareable across your company to optimize your customer operations by providing a universally understood customer status distilled into an overall health score. The visual prioritization of your critical accounts can help you better focus your campaigns and engagement strategies. A customer health score combines multiple customer data metrics so you can accurately predict how likely a customer is to renew their subscription well in advance of their anniversary date. Viewed across accounts, it can help you decide where your customer engagement resources are most needed and where they’ll be most effective. Simply having all the data isn’t going to drive business results. Your team has to take actions on the data and the insights the data provide. 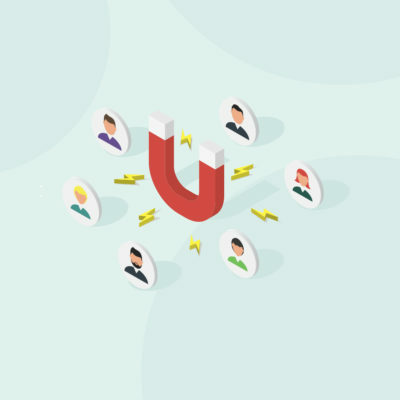 Knowing the status of every customer on their journey can help you create personalized messaging around renewal and upselling, identify what aspects of your product customers are undervaluing, and nurture customer growth. Having the capacity to accurately monitor how customers and team members are engaging with your product makes it easier to increase customer satisfaction. Each customer is made up of individuals performing specific functions and roles. As such, each team member will have a different relationship to your product. So, be proactive. Identify ways to increase your customer’s product usage. Below, we’ve put together a list of some real-world actions you can employ to productively engage your customers. If your data is telling you that a customer has yet to adopt a particular feature of your product, send them an email or social media message describing its benefits. Keep things friendly and provide a practical demonstration. The rise of subscription services has made it easy for customers to make short-term decisions and switch vendors without consequence. As such, you’ve got to pay attention to everything they tell you. A good onboarding pathway will make your customers successful in using your product, but until that happens, consider every helpdesk or account message to be a vital opportunity to demonstrate your unique solutions. Lay out your customer’s expected journey and growth in a visual fashion. Provide landmarks and milestones that celebrate your achievements and offer the promise of continued success. Our notions of customer loyalty have to change to focus on what the customer wants out of the product and how they actively use it. It begins with gaining a detailed, real-time understanding of where your customer is within their journey and then ultimately hinges on how you use this data to proactively service your customers. As with any obsession, you should be fascinated by your customers, eager to find out all you can about them and how their business works. It’s the best way to engage them in meaningful conversations that will generate mutually beneficial solutions. Totango created Spark to allow you to perform this very function. The tool provides a top-down, cross-channel visual depiction of how every customer is engaging with your product. What’s more, it can be up and running in weeks, not months. Request a demo or explore Spark to learn how to craft a customer engagement strategy that boosts your lifetime customer value.